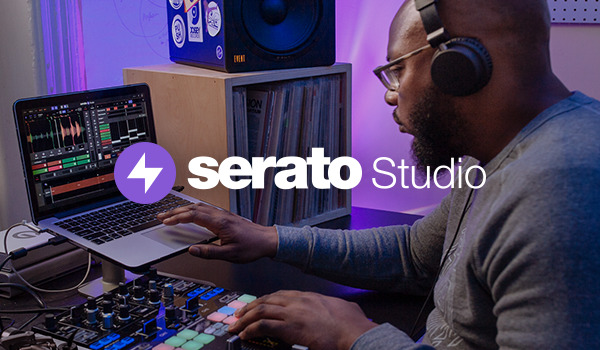 Serato Studio was designed to do all the tricky (and boring) work for you, so you can spend less time on the setup and more time making music the way you want to. 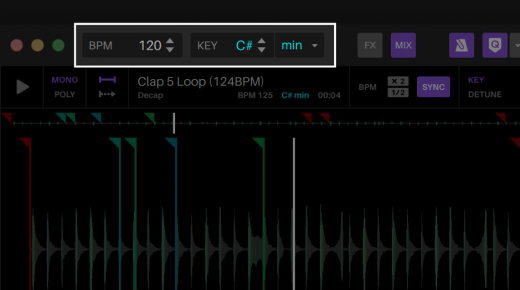 Within Serato Studio you’ll find the application header, and within the top left-hand corner header you can easily change the key of your project with one click. 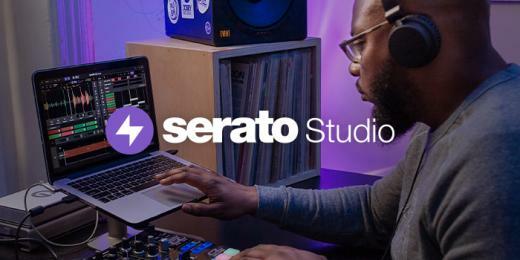 Serato Studio will auto-detect the project key as you start making beats. It will also match the key of your samples and instruments as well as syncing the bpm with instant time-stretching. 1. 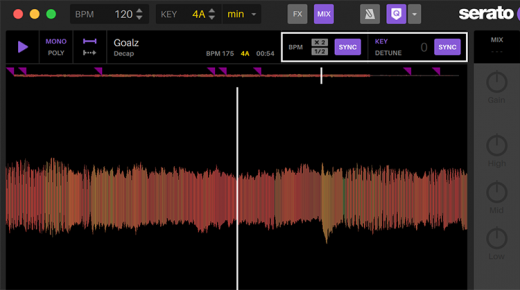 Drag a sample from your library, or an audio file from your Serato DJ library and drop it on the sample deck. 2. The key is automatically matched and the tempo synced with the rest of your project. 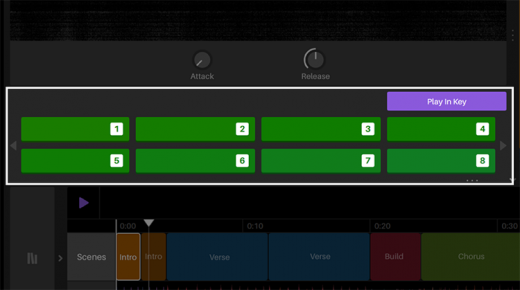 After populating an Instrument Deck, the instrument will be set to Play in Key with the session. With Play in Key enabled, only notes that are in the Project Key scale will be available. This means that all these notes should work with your beat. If you do not want to Play in Key you can simply deselect it and you will be given notes that you can play chromatically, either via your laptop keyboard, supported DJ hardware or MIDI controller. If you want to change the octaves to be lower or higher, you can press the letter “Z” or “X”, respectively. As you go lower in octave, the colour of the keys will become darker, representing lower frequencies. Raising the octave will make the keys brighter, representing the higher frequencies.